This blog's purpose is to review online learning options across many industries to provide you with the valuable and realistic information that you need to make an informed decision prior to purchasing online training. We do not endorse any particular training program and do not accept money in exchange for reviews. Prior to publishing information obtained from any reviewer, we require proof of purchase/enrollment in the program being reviewed. Can I Become a Certified Aromatherapist Online? Online Yoga Teacher Training: How to Choose the Best Program! 7 Things You Need to Know When Choosing An Online Yoga Teacher Training ProgramStep-by-Step-Guide on How to Choose the Best Online Yoga Certification Course! So, you've decided to enroll in Online Yoga Teacher Training? Congratulations! We applaud that you are taking the next logical step in your life. You certainly have options, and as you weigh them out, we want you to take a few things into consideration when choosing your Online Yoga Teacher Training program. You have probably already researched Yoga Alliance and Online Yoga Teacher Training Programs. 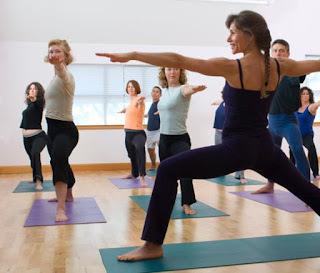 Yoga Teacher Training Online Can You Become a Certified Yoga Instructor Through Yoga Alliance Online? Yes. You can become a certified yoga instructor online. Good news. Yoga is not regulated by any branch of the government. Unlike massage therapists, nurses, chiropractors or physical therapists, yoga instructors do not have a state board that certifies them or gives them permission to do business as a yoga instructor. The argument has been made that maybe this is not good because "anyone" can become a yoga instructor. That's not true either. In order to become a certified yoga instructor, one must simply take a 200 Hour Yoga Teacher Training. This can be done online or in person. Once you receive your 200 Hour Yoga Teacher Training Certification, nothing more is required of you to teach yoga. However, there are some things you should know. Can You Take CPR Classes Online? Yes. Yes, you can. The real question is probably do you want to take CPR class online? I have been CPR certified for many years, and I always go recertify in person. 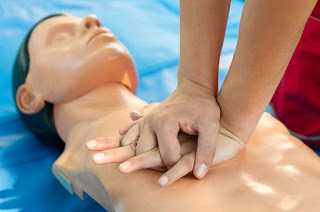 After all, there is no better way to learn how to perform chest compressions than to perform them repeatedly on a CPR manikin in front of a certified CPR instructor. Not only do you want to get a good feel for chest compressions, but creating a good seal for ventilations can also be tricky. Nonetheless, you can take CPR classes online. They are readily available. We have reviewed three of the most popular sites. Based on our research, CPR certifications from online CPR classes are generally accepted. IMO, the first time a person gets CPR certified, they should probably go in person to make sure they can successfully perform the physical skills involved. However, maybe recertifying online is an acceptable and convenient way to get recertified. Over 1.5 million heart attacks occur each year, and approximately 350,000 of these people die before ever reaching a hospital. CPR saves lives. Statistics show that the earlier CPR is initiated, the greater the chances of survival. For this reason, many employers, schools and organizations require CPR certification. Luckily, there are many reputable options for taking CPR classes online and obtaining a standard two-year online CPR certification.